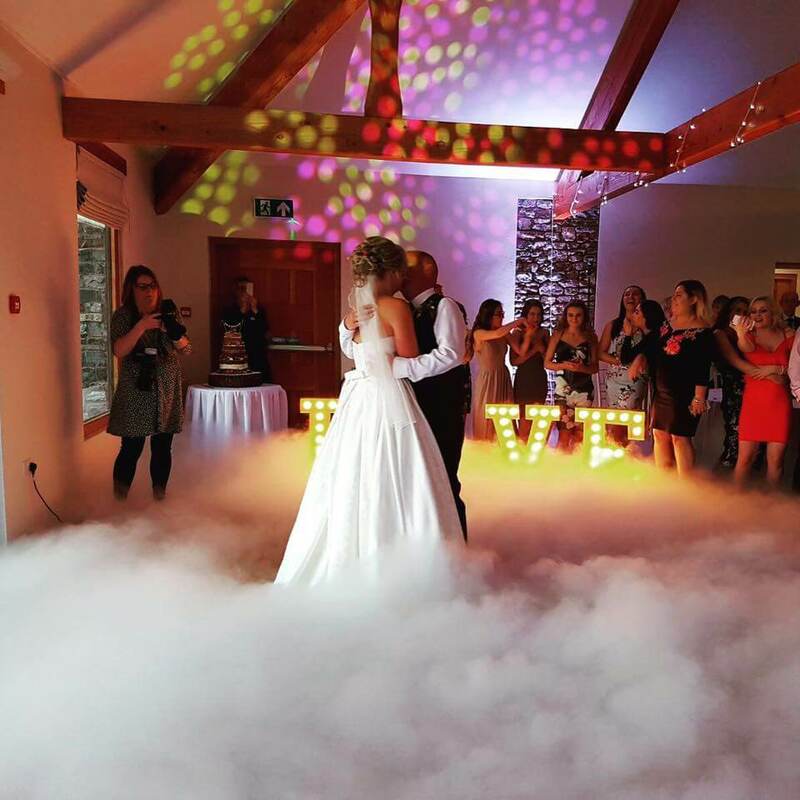 This hugely popular special effect gives you that magical ‘dancing on a cloud’ effect, perfect for your first dance as husband and wife. 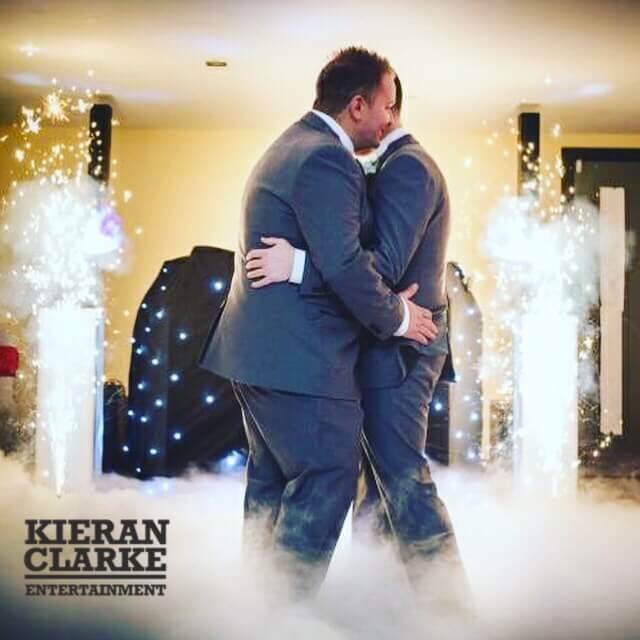 A must-have for stunning photos, couples can opt for an ethereal, dreamy look – or add some flair and drama with my indoor pyrotechnics and WOW your guests with a truly show-stopping performance! 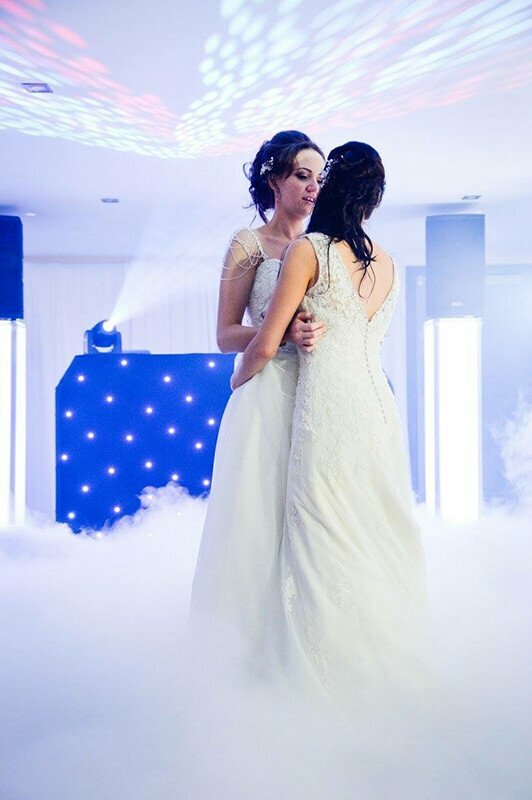 The machine gives off a low-level fog that lasts for the entire duration of your first dance. Don’t worry if your room is huge – the output and flow is adjustable so we’ll make sure everything’s perfect on the night. Please note that my dry ice can only be supplied with my DJ services and ideally needs to specified when booking. A signed disclaimer is also required when booking; please see my Terms & Conditions.